The silky chicks are 11 weeks and the baby chicks are 6 weeks. 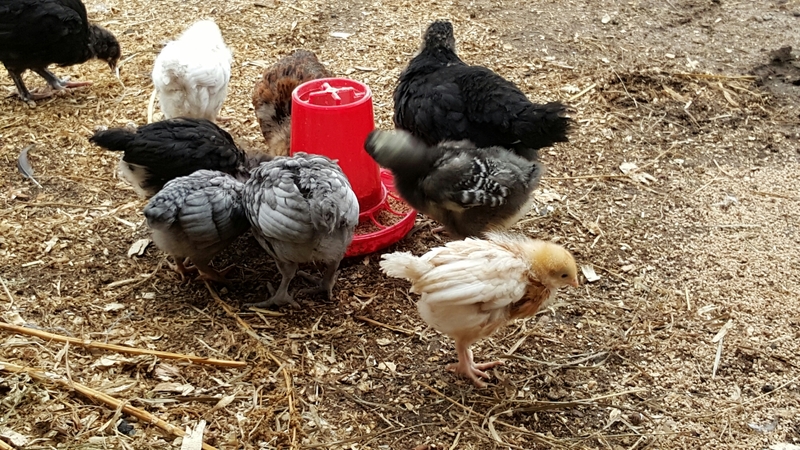 All the chicks are enjoying the mild winter temperatures. 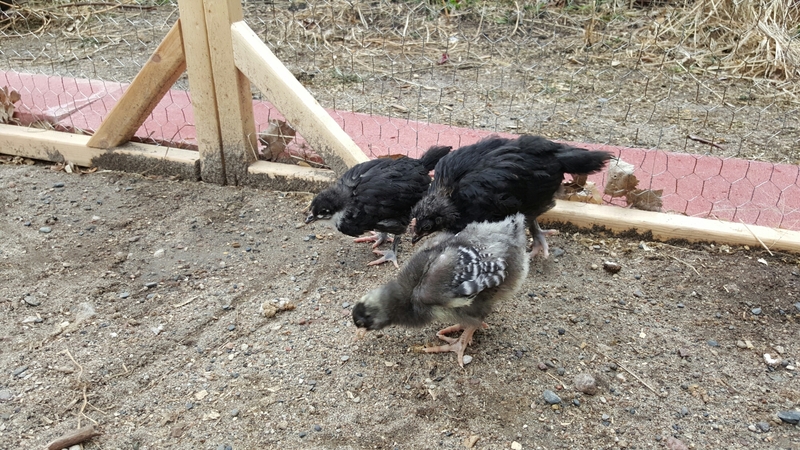 This chick is a barred rock and the runt of the group. 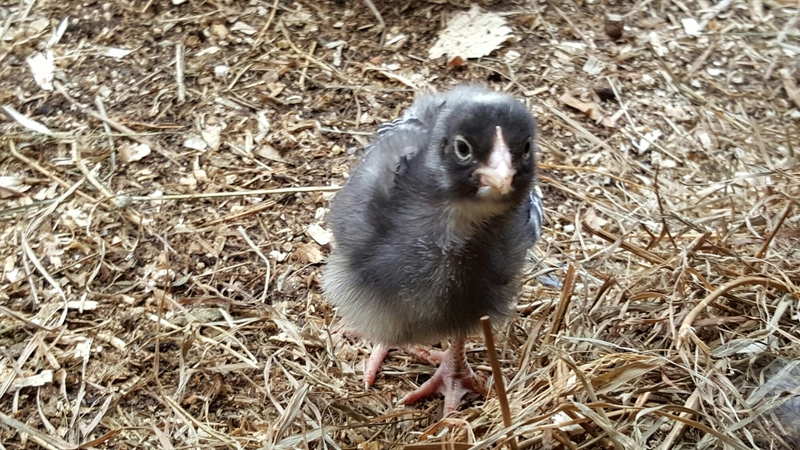 At this time the chick has been temporarily named “War Hammer” or “Thor” to compensate for it’s size. 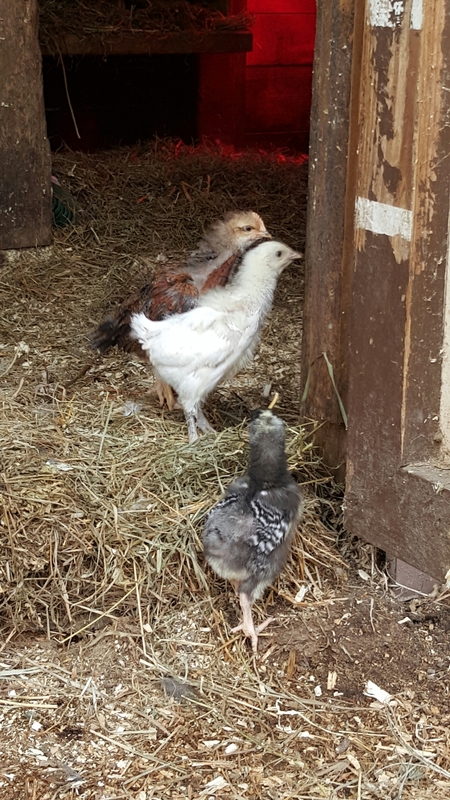 Below is our only Brown Leghorn and we have suspicions that it is a roo.